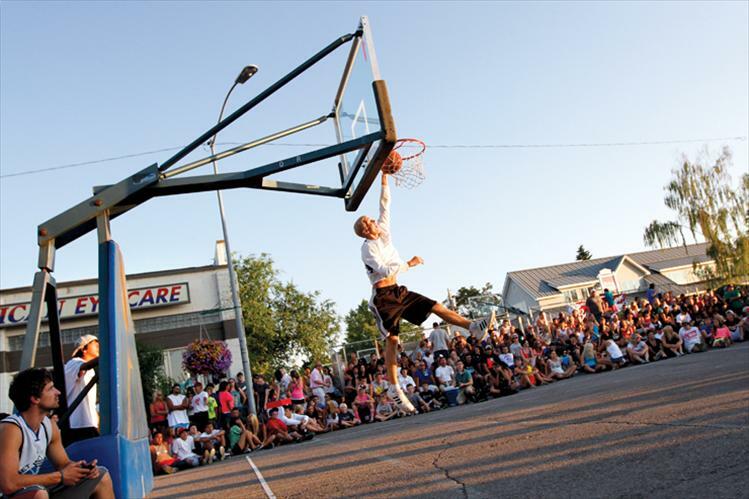 Matt Luedtke, a Ronan High School graduate, leaps over a barrier borrowed from the Polson Parks Department during the slam dunk contest at the Flathead Lake 3-on-3 basketball tournament in Polson. 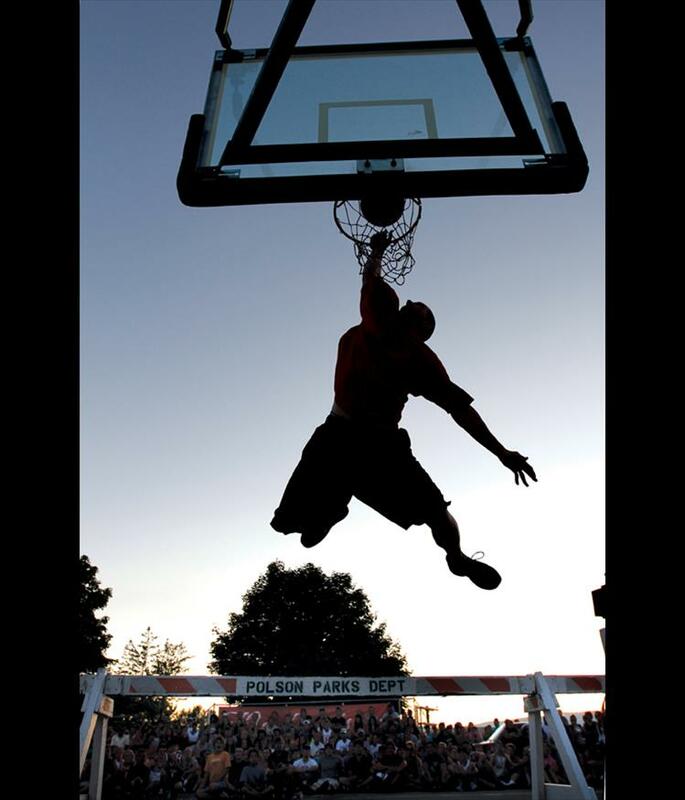 Luedtke’s moves impressed the crowd and the judges, but he just missed his final dunk attempt to fall short of the $1,000 prize. 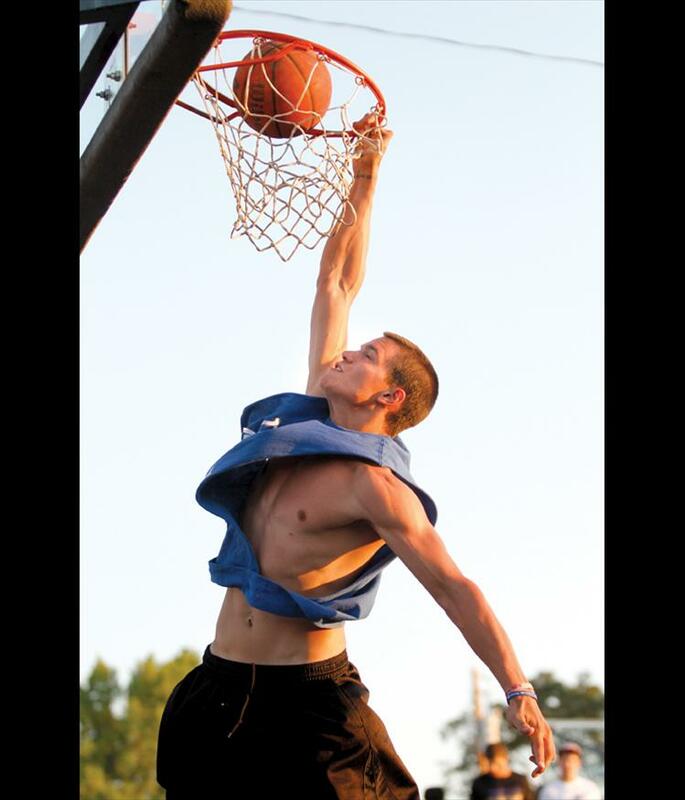 Connor Woodill scores on his way to winning $1,000 in Saturday night’s slam dunk competition. 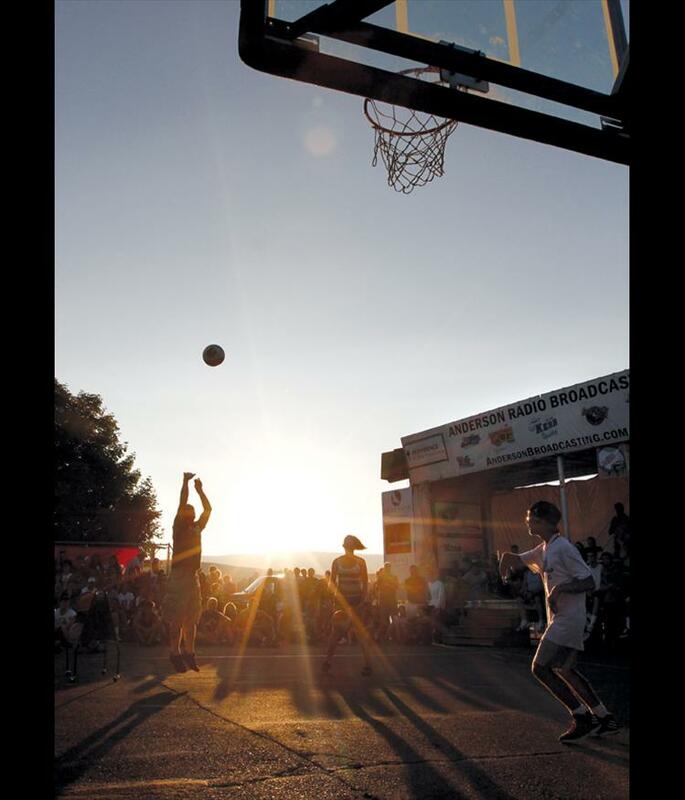 Spectators line the sidewalks as an athlete dunks the ball while warming up for the slam dunk contest. 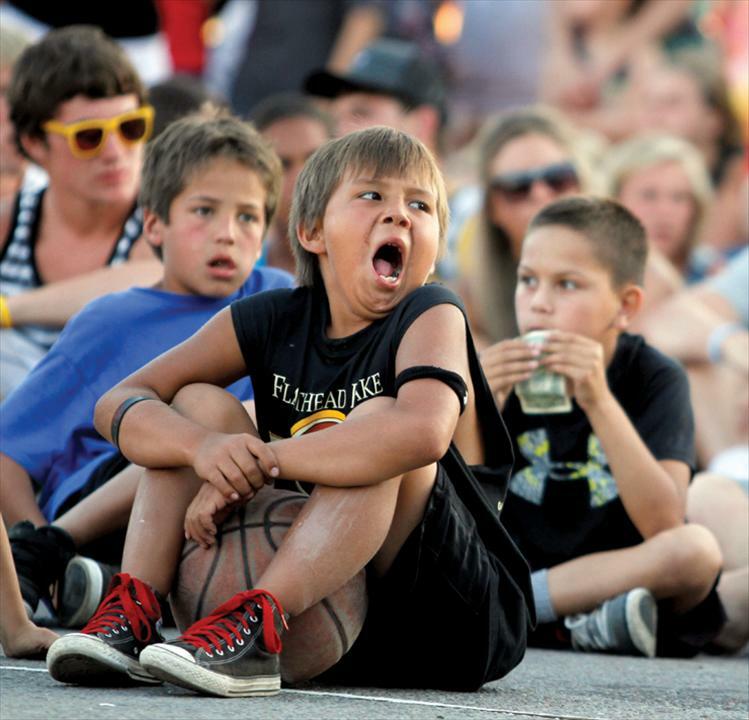 A young 3-on-3 contestant yawns after a long day of basketball while waiting for Saturday night’s slam dunk contest to begin.